Hello and happy wine Wednesday, wine lovers. I trust your week has been magnificent and that you are well on your way to discovering some new ‘faces’ of Chardonnay. It has been a busy week for me and I kicked it off last Thursday with a Girls Go Grape Rosé on the Roof event co-hosted with my dear friend Sylvia Talbot. I will post a recap of the 4 wines we sampled along with some stunning photos of the evening. I have also been busy getting ready for my trip to Champagne, France tomorrow – so all good here! To pay homage to France and the many beautiful expressions of Chardonnay, this weeks review is on Jean-Marc Brocard’s 2011 Premier Cru Chablis Montmains. Like all wines from France, the wine is named after a place, not a grape variety. Chablis is located in the northernmost district of the Burgundy region. The star grape, and the one most planted, is Chardonnay. Surprise, surprise…Chablis wine is famous for what is called a ‘flinty’ or ‘steely’ mineral taste and aroma. 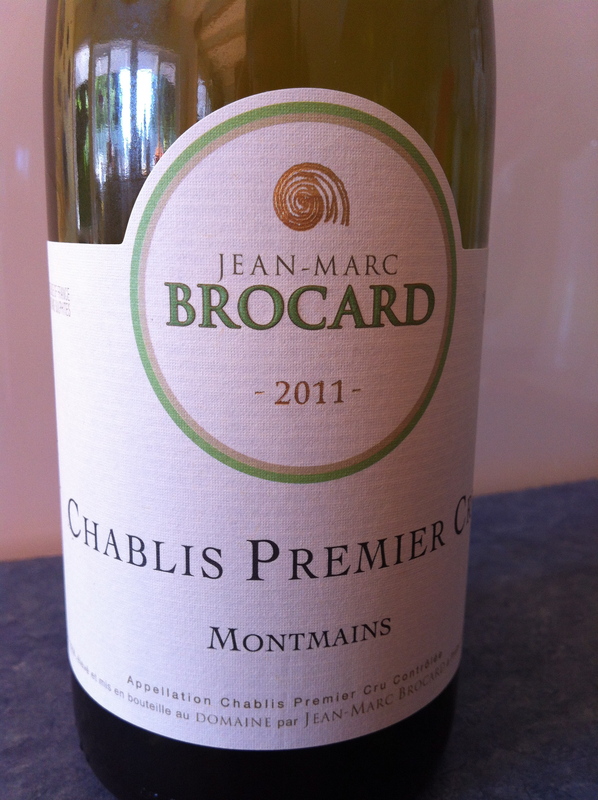 Let’s see if Jean-Marc Brocard’s Premier Cru Montmains lives up to the Chablis reputation. The first thing that I noticed about this wine in the glass was the bright gold/lemon/green colour – the likes of which I haven’t seen before. I would almost say it sparkled – believe me – I am as surprised as you. It had aromas of lemon and lime citrus fruit, Granny Smith apple, tangerine and a steely mineral scent. On the palate, this may have been one of the driest wines I have tasted with super high acidity that was like a welcome screaming wake up call for my taste buds – HELLO! Super refreshing with flavours that mirrored the aromas and that ‘flinty’ character was definitely alive and kicking. This Chablis isn’t too tart and is very light bodied so you will need something delicate to pair with it like oysters on the half shell, for example. This wine has a nice, long finish is medium alcohol with complex and balanced flavours. It is unlike any Chardonnay wine you have ever tasted. I certainly hope some of you indulge in this bottle and give it a taste. However, this baby comes with a $39.99 price tag. So – this is a unique bottle that you could purchase for yourself because you darn well deserve it. Or, if there is a milestone birthday that you are heading too – this would be a real stunner of a gift. Who wouldn’t love a bottle of 1er (Premier) Chablis for their birthday? Yes, I have found yet another GGG “Hell Yes” for the ‘Chardonnay Chronicles’! This makes me one happy lady. Even at $39.99 at the B.C. liquor stores – this is a bottle to purchase and cellar for up to 7 years which makes it a phenomenal gift to yourself or loved one. Amazingly complex flavours and a great example of ‘flint’ minerality in wine. Pair with a delicate seafood meal or sip on a hot summer day as an aperitif. 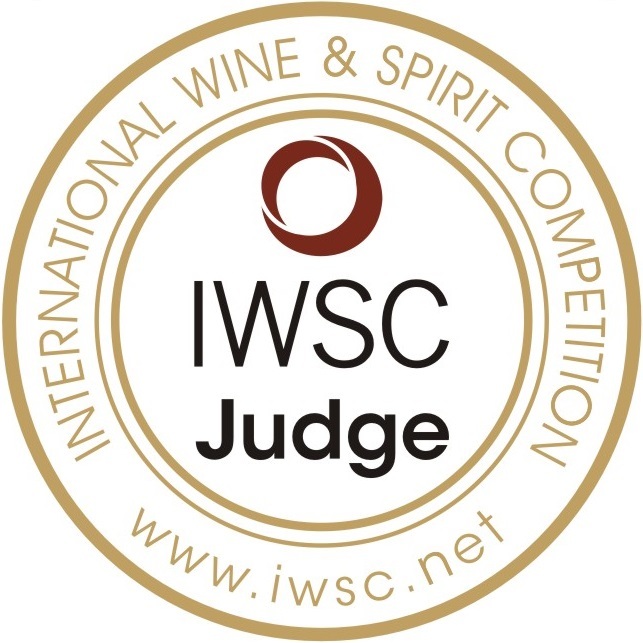 Well, wine lovers, I am off bright and early tomorrow morning for Champagne, France to traipse around wine cellars and huff up and down vineyards. I could not be more excited. I hope to blog a few posts while I am there but if you don’t hear from me – know that I am sipping Champagne and doing research. I will miss my little family a lot and we will see how I fare being away from them for this long. Thank you to the love of my life, DS, for all your love, support and encouragement. Love to you and M.
Bon chance Christine – enjoy – celebrate the wine and your great gift of knowing what is great, what is (hmm, okay comme ci comme ca) and what is “Mon Dieu – tres magnifique!!! We look forward to your report upon returning to Colombie Britannique.